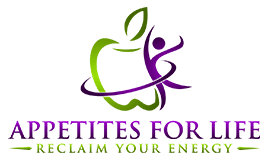 Let’s talk about one body system that is ignored, neglected and misunderstood, but works around the clock to keep you healthy, filter out toxins and move essential fluids around the body. This is an introduction to your lymphatic system. In Western medicine, the lymphatic system is considered part of the circulatory and immune systems. In contract, Eastern medical modalities like Ayurveda and Chinese Medicine consider the lymphatic system as its own system, and one of great importance. In fact, its neglect is often the reason why we are ill, either chronically or acutely. The lymphatic system is a complex drainage system interwoven with your digestive, immune and circulatory systems. Its main functions are to get rid of toxins and acidic waste, transport white blood cells, and deliver vital nutrients, like fatty acids to cells. It is made up of the thymus gland, bone marrow, spleen, tonsils, skin, adenoids, nodes, vessels and ducts, and any mucosa-associated lymphoid tissue (MALT). In order to keep this system running smoothly, we need to ensure it does not get clogged or backed up – because that, my friends is not a good thing. Think about what happens when your toilet gets backed up. It’s a mess. 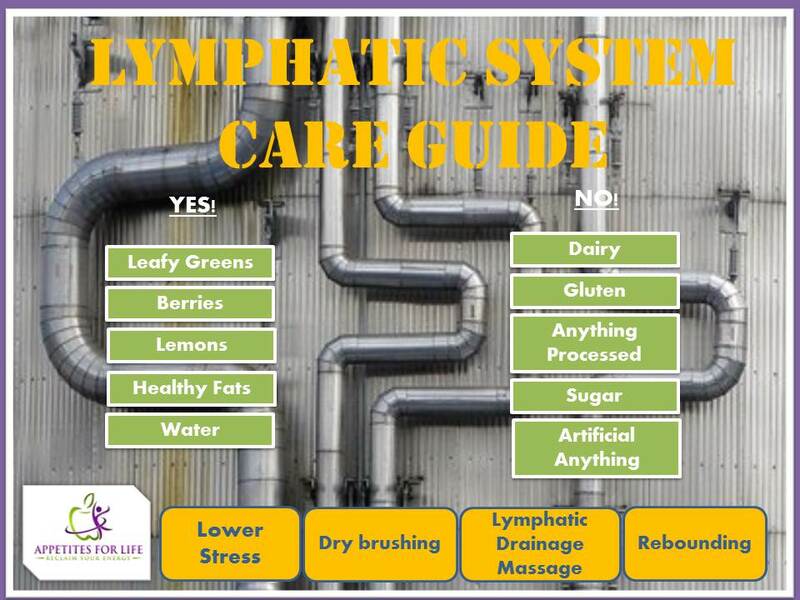 You don’t want your lymphatic system, one with all the above responsibilities to become sluggish. Yet, so many of us are walking around with signs of clogged drainage, known as lymphatic congestion. I had lymphatic congestion for years. In fact, my back looked like a minefield of cystic acne and nail marks due to intense itching. Like all healing, lymphatic cleansing is a journey that requires patience and commitment. 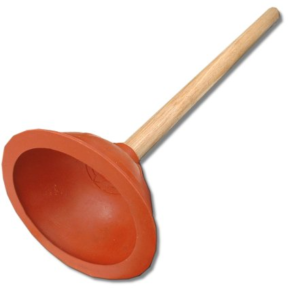 Given the right tools, the body CAN heal; and like a plunger in the toilet, you can take steps to unclog your system and get things moving smoothly again. The results? More clarity, increased immunity, better sleep, fewer mood swings, less pain and inflammation, and clearer, less irritated skin. How do we do this? DIET: It is said that 80% of your immune system lies in the gut, which is why gut-health and the microbiome have become HOT topics in the nutrition world and everyone is taking pro and prebiotics. We need more good bugs in our gut. Your lymphatic system has a major presence in the gut via the Gut-Associated Lymphatic Tissue or GALT. This GALT basically protects the body from invasion in the gut. However, certain foods like sugar, conventional/processed meats, dairy and gluten wear down the GALT. Other foods like leafy greens, lemons, berries and plenty of water help to move lymph and feed the good bugs. ENVIRONMENT: Other factors like smoking, pollution and pesticides can plug things up leading to what Dr. John Douillard of Life Spa calls the “Domino Effect of Neglecting your Lymphatic System.” Douillard, an Ayurvedic expert, explains that a congested lymphatic system can affect your skin, respiratory health, brain and central nervous system functions, your circulation and even cognitive function (brain fog anyone?). Limiting your exposure to the above is important. STRESS: We know stress creates inflammation, but it also compromises the lymph, lowers our immune defenses and depletes vital nutrients like magnesium and zinc. Stress reducing massage, such as a lymphatic massage does amazing things for the body. Look for a masseuse who is an expert in lymphatic drainage. EXERCISE: Any type of movement is critical for lymphatic health. My favorite exercise, besides walking, is rebounding. Rebounding is basically just a fancy name for jumping on a mini trampoline. The up-down movement activates the lymphatic flow and flush. Plus, it’s just really fun. DRY BRUSHING: Another way to jumpstart your lymph is to start dry brushing daily. Dry brushing helps remove dead skin cells, stimulate the lymphatic system and improve circulation. Since I started doing this, my back cleared up dramatically, and the itching stopped. It’s really very simple, you just brush in quick soft strokes up your body and toward your heart. Be sure to concentrate on high lymph areas like the arm pits, around the breasts, the neck and back of knees. Once you try it, you will wonder why you never did it before!